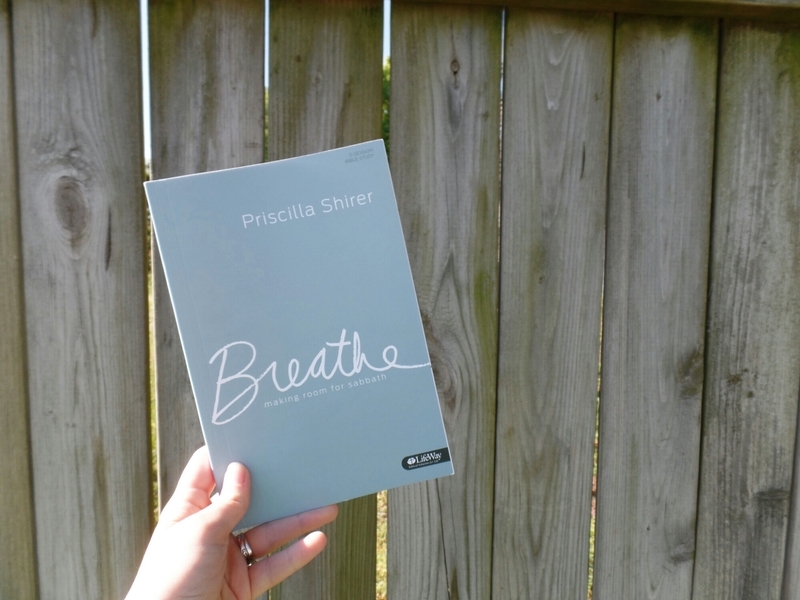 So lately I have been doing the Breathe study by Priscilla Shirer. It is a 5 week long study that you can do by yourself, or with a group of people. Since I’m doing this study by myself, I decided to just buy the book. But audio lessons and video lessons are available too(My next study I do from her I will be buying the audio lessons to go with it). So even though I just finished Week 2, today I’ll be writing a couple key points I learned from Week 1. Since this was two weeks ago… this post probably won’t be very long. Week 1 taught me that I had my view of the Sabbath all wrong. It’s not just a day you go to church and worship God. The Sabbath or, and Sabbath Margin, is a lifestyle. It should free us from our life taking control over us. To keep blessings from becoming bondages. Another point I learned was that Creation wasn’t complete until the Sabbath. God didn’t rest because He was tired? He’s God!!!! He rested because He created rest on the 7th day! Genesis 2:2 says that on the seventh day, God completed His work! Week 1 of this study made me realize the things I was putting above the Sabbath. That I have chains I don’t want to let go of because it would mean I would have to trust God. I’m just like the Israelites who when gathering manna, tried to gather extra for the next day because they didn’t trust God. I have become a slave to work! It also made me realize that in our culture, we have turned a day of rest into a burden. Since when has anyone felt rested on a Sunday? I haven’t in yeeeaaarrss. Because there’s choir practice, buses, making food, sticking to the church schedule so it all runs smoothly…. Sunday’s are no longer a blessing ( which God intended them to be) but a burden. This week helped me set boundaries in my life so I don’t become taken over by things, people, church, work, etc…. For the past year I have struggled with juggling life and finding time for everything and everyone… My life really has become a master over me and I never knew it. I can’t begin to tell you how much of a blessing this study has been so far! If you are interested in thia study, I bought mine at Lifeway.com for around 9$!